AWS has the broadest and deepest set of machine learning and AI services for your business. 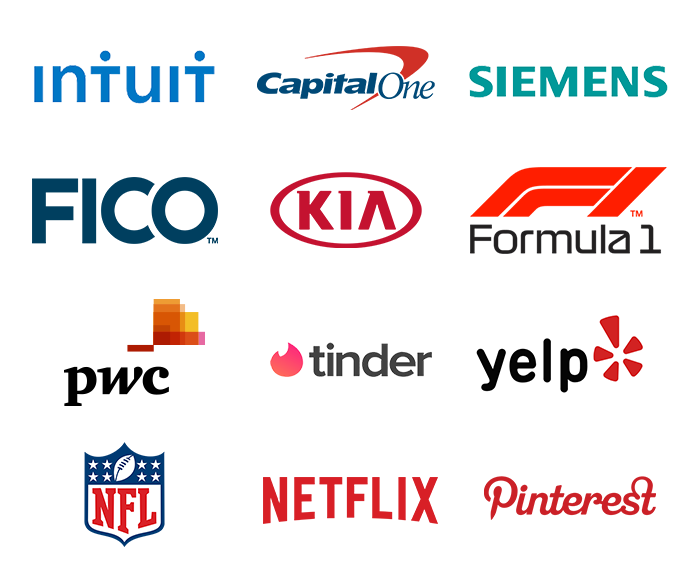 On behalf of our customers, we are focused on solving some of the toughest challenges that hold back machine learning from being in the hands of every developer. You can choose from pre-trained AI services for computer vision, language, recommendations, and forecasting; Amazon SageMaker to quickly build, train and deploy machine learning models at scale; or build custom models with support for all the popular open-source frameworks. Our capabilities are built on the most comprehensive cloud platform, optimized for machine learning with high-performance compute, and no compromises on security and analytics. "AWS is our ML platform of choice, unlocking new ways to deliver on our promise of being the world’s travel platform." More machine learning happens on AWS than anywhere else. Amazon SageMaker enables developers and data scientists to quickly and easily build, train, and deploy machine learning models at any scale. It removes the complexity that gets in the way of successfully implementing machine learning across use cases and industries—from running models for real-time fraud detection, to virtually analyzing biological impacts of potential drugs, to predicting stolen-base success in baseball. 10x better-performing algorithms: Use pre-installed, optimized algorithms for 10 times better performance with Amazon SageMaker. Pre-built Jupyter notebooks: Fully managed instances for training data and preprocessing. Algorithm marketplace: Choose from diverse algorithms and models available in the AWS Marketplace for Machine Learning. 70% cost reduction: Build highly accurate training datasets and reduce data-labeling costs by up to 70% with Amazon SageMaker Ground Truth. One-click training and automatic model tuning with AutoML capabilities for the most accurate model predictions. Train once, run anywhere with 2x performance: Amazon SageMaker Neo allows you to train your model once and run it on multiple hardware configurations with up 2 times performance increase. Fully managed: Simplified model training through management all of the underlying infrastructure so you can easily scale models. One-click deployment: Deploy with auto-scaling clusters spread across multiple zones to deliver both high performance and high availability. Reduce inference costs up to 75%: Amazon Elastic Inference allows you to provision just the right amount of GPU performance you need. Automatic A/B Testing: Managed model A/B testing across as many as five different models giving you a lot of flexibility to run experiments. Fully-managed hosting with auto scaling: Managed production infrastructure to perform health checks, apply security patches, and conduct routine maintenance. AWS pre-trained AI Services provide ready-made intelligence for your applications and workflows. AI Services easily integrate with your applications to address common use cases such as personalized recommendations, modernizing your contact center, improving safety and security, and increasing customer engagement. Because we use the same deep learning technology that powers Amazon.com and our ML Services, you get quality and accuracy from continuously-learning APIs. And best of all, AI Services on AWS don't require machine learning experience. Personalize experiences for your customers with the same recommendation technology used at Amazon.com. Build accurate forecasting models based on the same machine learning forecasting technology used by Amazon.com. Add image and video analysis to your applications to catalog assets, automate media workflows, and extract meaning. Use natural language processing to extract insights and relationships from unstructured text. Automatically extract text and data from millions of documents in just hours, reducing manual efforts. Turn text into lifelike speech to give voice to your applications. Easily build conversational agents to improve customer service and increase contact center efficiency. Expand your reach through efficient and cost-effective translation to reach audiences in multiple languages. Easily add high-quality speech-to-text capabilities to your applications and workflows. Choose from TensorFlow, PyTorch, Apache MXNet, and other popular frameworks to experiment with and customize machine learning algorithms. You can use the framework of your choice as a managed experience in Amazon SageMaker or use the AWS Deep Learning AMIs (Amazon machine images), which are fully configured with the latest versions of the most popular deep learning frameworks and tools. Leverage a broad set of powerful compute options, ranging from GPUs for compute-intensive deep learning, to FPGAs for specialized hardware acceleration, to high-memory instances for running inference. Amazon EC2 provides a wide selection of instance types optimized to fit machine learning use cases, whether you are training models or running inference on trained models. In order to do machine learning successfully, you not only need machine learning capabilities, but also the right security, data store, and analytics services to work together. With AWS, you get the most comprehensive capabilities to support your machine learning workloads. 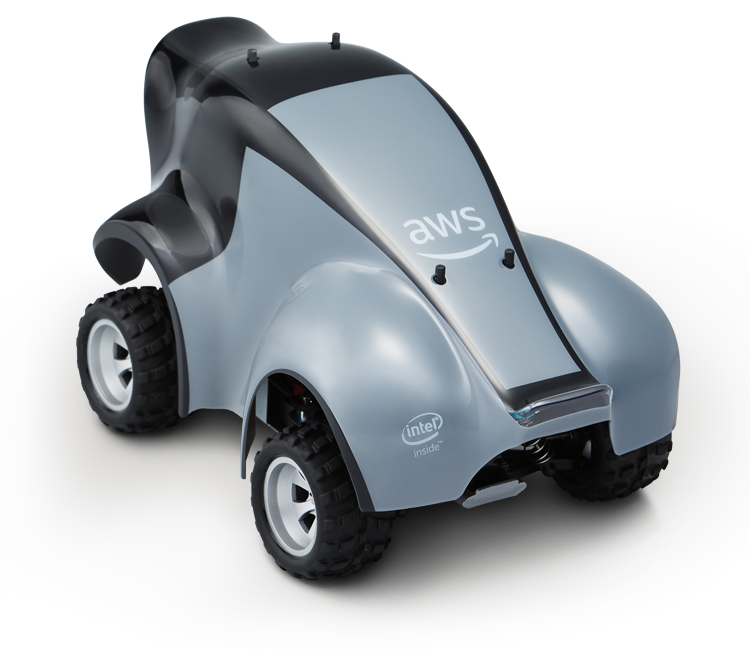 AWS DeepRacer is a fully autonomous 1/18th-scale race car designed to help you learn about reinforcement learning through autonomous driving. 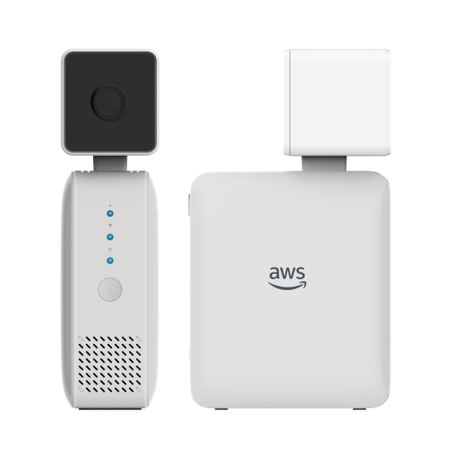 AWS DeepLens is the world's first deep learning-enabled video camera for developers. Integrated with Amazon SageMaker and many other AWS services, it allows you to get started with deep learning in less than 10 minutes through sample projects with practical, hands-on examples. The Amazon ML Solutions Lab combines hands-on educational workshops with advisory professional services to help you ‘work backwards’ from business challenges, and then go step-by-step through the process of developing machine learning-based solutions. You'll be able to take what you have learned through the process and use it elsewhere in your organization to apply machine learning to business opportunities. The AWS Machine Learning Research Awards program funds university departments, faculty, PhD students, and post-docs that are conducting novel research in machine learning. Our goal is to accelerate the development of innovative algorithms, publications, and source code across a wide variety of ML applications and focus areas. Start training on machine learning on AWS with courses based on the same material used to train Amazon's developers through the combination of foundational knowledge and real-world application. Developers, data scientists, data platform engineers, and business decision makers can use this training to learn how to apply ML, AI, and deep learning to their businesses unlocking new insights and value.